Looking for private in-home or in-studio Trumpet lessons? Our Bellaire teachers are ready to get you started. Find your teacher today! 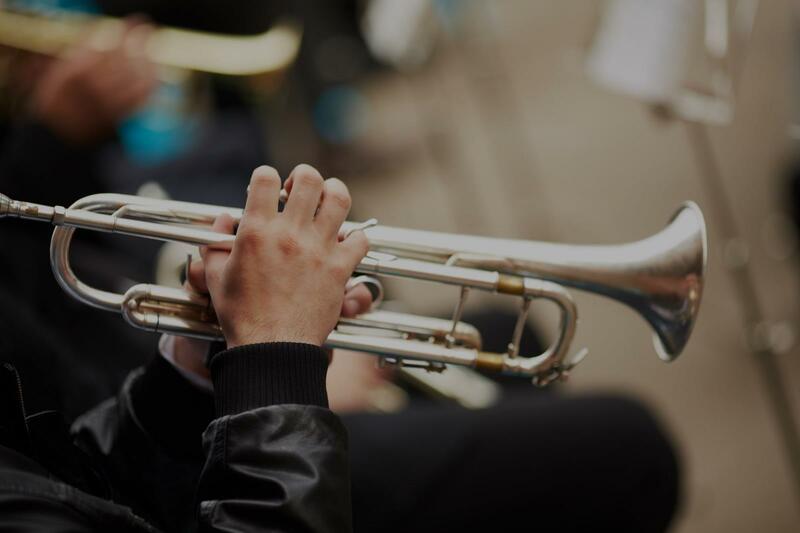 I currently teach trumpet at the New School for Leadership and the Arts, but I have many years' experience teaching music to students of all ages. I teach to the abilities, passions, and ambitions of the student(s). I have taught occasional trumpet lessons ever since I was in High School six years ago. Beginner trumpet students start with basics such as lip buzzing, mouthpiece buzzing, and easy songs. Eventually, they will learn about playing with a desirable tone as well as instruction on playing solos and etudes. I play both classical and jazz music on trumpet. If I sound like a fit, then don't hesitate to press the green button! I consider myself a very well-rounded trumpeter. I studied classically from 2006-2014 before moving out of town for college, where I studied Jazz and lead trumpet under the tutelage of internationally acclaimed trumpeter, Jumaane Smith (2014-2018). As a result of my balanced upbringing on the horn, my skill set includes those necessary to be a successful, versatile player; which in today's world, is a must-have. I'm excited to work with you all! A native of West Hartford, CT, Sam Merrill is a 2014 graduate of William H. Hall High School. During his time at Hall, he was a part of the school’s esteemed jazz program, where he played lead trumpet in John Mastroianni’s Concert Jazz Band. Hall’s show, “Pops ‘n Jazz” allowed Sam to work with musicians like trumpeters Tony Kadleck, Michael Mossman, Scott Wendholt, and Jeff Holmes, saxophonist Joel Frahm, pianist Joyce DiCamillo, and many others. Throughout middle and high school, Sam studied privately with Nancy Brown, a renowned trumpeter in the tristate area who helped Sam build a strong foundation on the instrument. e Smith (lead trumpet player for Michael Bublé and Harry Connick, Jr.). He also held an eight-semester tenure of the lead trumpet chair in the school’s esteemed Jazz Orchestra under the direction of GRAMMY nominated jazz saxophonist Jimmy Greene, and guitarist Jamie Begian; both unbelievable talents and inspirations. Thanks to WCSU’s annual Jazz Festival, Sam has been fortunate enough to share the stage with the likes of pianist Kenny Barron, tenor saxophonist Joe Lovano, and most recently, vibraphonist Stefon Harris. Over the years, Sam was also fortunate enough to build a relationship with Los Angeles studio legend Wayne Bergeron, who has helped further develop his abilities on the trumpet. A May 2018 graduate of WCSU, Sam just touched down in Nashville, TN, hoping to continue a career as a trumpeter, teacher, composer, and arranger. Visit me online at SWMerrillMusic.com! I look forward to working with you. Houston, TX teacher: Mark D.
"Our son loved it! I have never seen him this excited about learning anything so this is really exciting for us!" Houston, TX teacher: Jennifer W.
unny personality and makes his instruction very enjoyable. If you're looking for an awesome trumpet teacher, Mark is the person for you." l on both piano and trumpet. We also played a trumpet solo with piano accompaniment that he wrote and it was a list of fun. He’s a great guy to work with and is very understanding of any problems you’re having as a musician. I’d definitely recommend Edward as a lesson teacher for both trumpet and piano." Houston, TX teacher: Edward L.
were hesitant to try online lessons, but Mark has this mastered this venue; having instruction in our our home has been super convenient. I highly recommend Mark as an online trumpet tutor." "First lesson revealed valuable techniques to focus with immediate improvement. Mark is an excellent teacher and we are excited to continue lessons." had us looking forward to the next lesson. He's an awesome instructor, as well as human being and we would recommend him to anyone looking to improve their playing ability."